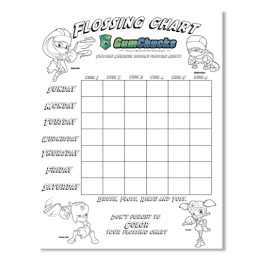 At GumChucks, we believe that fun is the most effective way to get kids flossing. 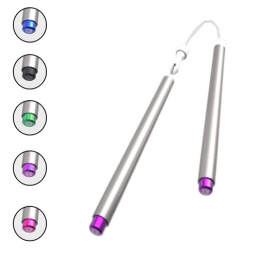 That’s why our nunchucks inspired design is both fun and easy to use for kids of all ages! 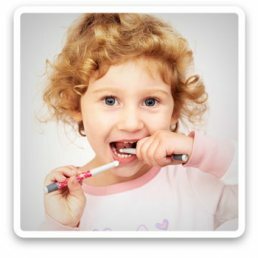 Tooth decay is one of the most common diseases effecting our youth. The American Dental Association of Pediatric Dentists recommends that kids include flossing as a part of their daily oral health routine as early as possible. 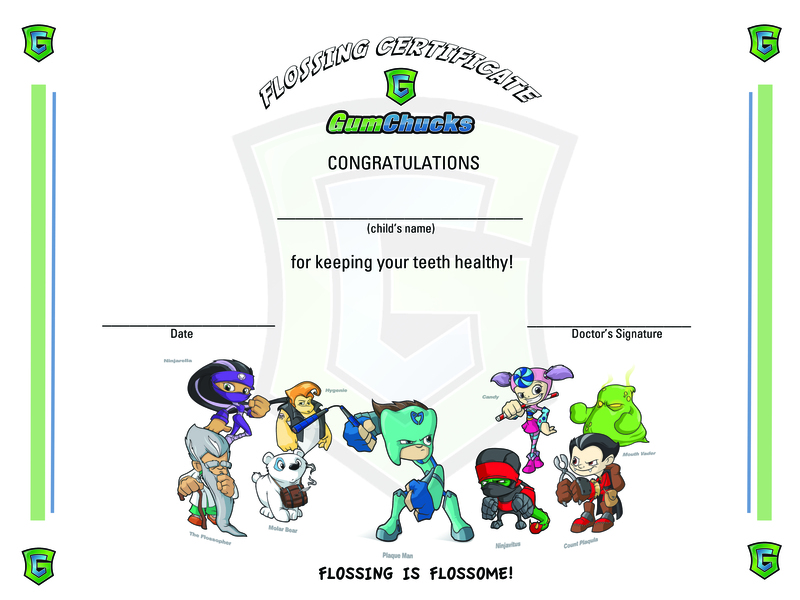 GumChucks gives kids a head start on good dental hygiene, greatly increasing the likelihood that they will adopt a lifelong healthy habit of flossing. 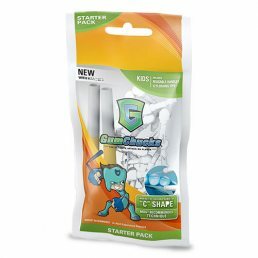 We perceived GumChucks as one part tool and two parts toy, as a way to engage kids and make them want to use the product. 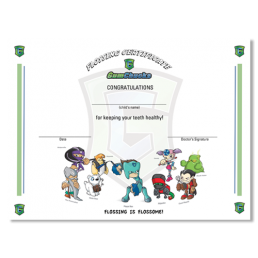 Kids love the characters, cool designs, and shooting the tips.We have also created coloring pages as well as flossing charts and certificates that are available for you to download and print off for your children (see below). Parents love the ease of use and effectiveness of the product. 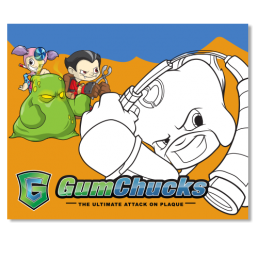 GumChucks makes flossing fun, fast, and easy. Absolutely loved it, I bought two of them, one for myself and one for my husband. We both liked the idea, both of us are in the dental field and we both agree that with these GumChucks you definitely will be flossing the correct way even if you don’t realize it. I can’t say enough about how much I like these. I bought them for my 3-year-old son and he loves to floss now so he can shoot the used floss piece into the trash. I tried them myself and I like them too! Definitely recommended. 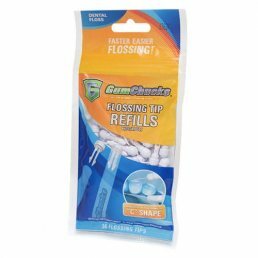 Promotes correct flossing shape. Love these for flossing my 7yo son’s and 2yo daughter’s teeth. We’ve tried floss (got tired of loosing sensation in my fingers and sticking them in mouths to reach), sticks, etc. and these are our favorite. My children actually ASK for their GumChucks. Enough said. These things are FANTASTIC!!! My 5 year old grandson uses them every night with no problem at all. He thinks they are so fun to use. TOTALLY RECOMMEND!!! Great Product. Makes it very easy for kids to learn how to floss their teeth by themselves, and makes it much more fun! 6 year old will finally floss!!!! 11 year old loves it. Adult ones helped my hubby with his bear paws be able to floss well. Glad dentist recommend. Found this at a dental convention and I never looked back. Traditional flossing is so difficult and floss cuts my fingers, so this is the best thing since sliced bread. My kids have fun using it and they actually floss their teeth. Much better than standard flossers since it allows you to floss using the “C” share to get all the plaque out. My 4 yr old loves flossing with these, shel likes to shoot them in the trash can, and mine too.